Epigenetics is a relatively new field of science explaining heritable changes that are not caused by alterations in DNA sequences. 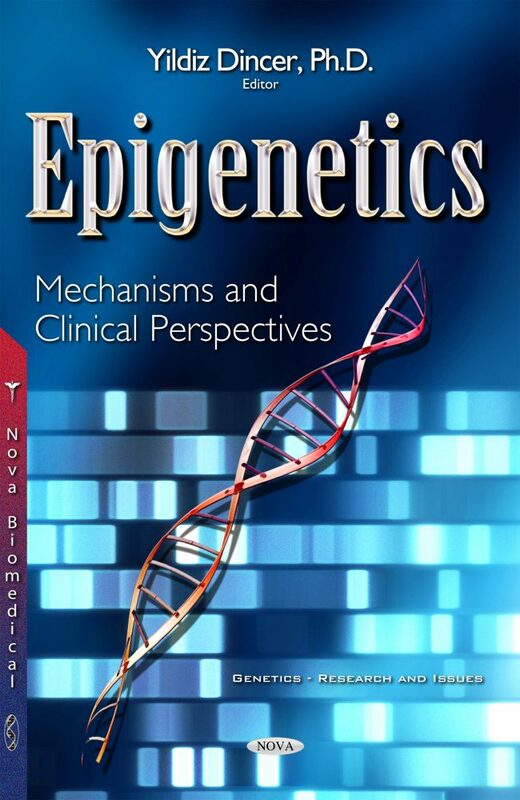 Epigenetic modifications are acquired throughout life, and depend on environmental clues such as diet, lifestyle and toxin exposure. It is possible to pass down epigenetic modifications to the next generation of offspring if the modifications occur in sperm or egg cells. Additionally, epigenetic regulations are central to many cellular processes such as imprinting, X chromosome inactivation, DNA damage response, cellular reprogramming and senescence. This book provides an overview for the influence of early life nutrition on the epigenome and the role of epigenetic dysregulations in the pathogenesis of many common diseases. Principal audiences of this book may be clinicans; students of medicine, pharmacology, molecular biology, genetics, dietetics; and students of Master and Ph.D. in the same areas; all scientist/investigators who have an career in molecular biology, pharmacology and dietetics.